Providing care for people with dementia can be physically and emotionally challenging. You need to have enough knowledge about the condition and a positive attitude to improve the care you provide. It takes a lot of patience, compassion and understanding to support the person you care for. Planning ahead will allow you to prepare some strategies on how to deal with particular situations. Here are some dementia care tips to consider. People with dementia have a progressive biological brain disorder that affects their ability to remember things, think clearly and take care of themselves. They may often get reality confused with fiction and may recall things that didn’t actually happen. If they feel disoriented, avoid convincing them that they are wrong as this can cause further confusion, anxiety, fear and anger. Focus on their current feelings and respond with verbal and physical expressions of comfort, support and reassurance. Wandering and getting lost often happens to people with dementia for various reasons like boredom, medication side effects or to look for something. To minimise their restlessness, create a plan for their daily activities. Having a routine can provide structure and discipline, allowing them to be comfortable with what they have to do each day. You must also keep them supervised and make sure all their basic needs are met. Providing a proper diet can minimise behavioural symptoms and prevent weight loss. Make sure you offer vegetables, fruits, whole grains, low-fat dairy products and lean protein foods. You must limit foods with high saturated fats such as butter, solid shortening, lard and fatty cuts of meats. When bathing a person with dementia, you should be mindful of the environment. Check the temperature of the room and water, as older adults are more sensitive to extreme temperatures. It would also be ideal to use safety features such as non-slip floor bath mats, grab-bars and bath or shower seats. A hand-held shower can also make it easy for you to bathe the person. Remember that people are afraid of falling so you must help them feel secure in the shower or bath. As professional carers, we know how important it is for you to take regular breaks to look after yourself. At Caremark, we offer respite care to support family carers in their duties. We deliver care and support to the highest standards to give you peace of mind while you recharge your batteries. 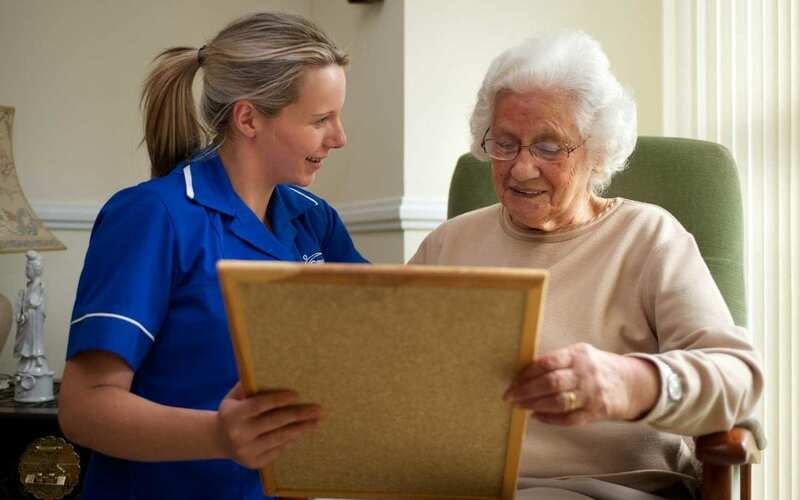 Caremark has over 25 years of enviable reputation when it comes to providing quality home care and support. For enquiries, please complete this form or give us a call on 1800 844414 to speak with one of our friendly experts today.